Liechtenstein, officially the Principality of Liechtenstein (lik-tən-styn); doubly landlocked alpine country in Central Europe, bordered by Switzerland to the west and south and by Austria to the east and north. Its area is just over 160 square kilometres (62 square miles), and it has an estimated population of 35,000. Its capital is Vaduz. The biggest town is Schaan. 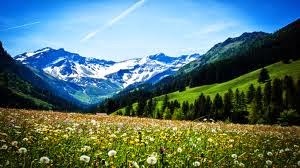 Liechtenstein has the highest gross domestic product per person in the world when adjusted by purchasing power parity. Liechtenstein also has one of the lowestunemployment rates in the world at 1.5%. Liechtenstein is the smallest yet the richest (by measure of GDP per capita) German-speaking country and the only country to lie entirely within the Alps. It is known as aprincipality as it is a constitutional monarchy headed by aprince. Liechtenstein is divided into 11 municipalities. Much of its terrain is mountainous, making it a winter sports destination. Many cultivated fields and small farms characterize its landscape both in the south (Oberland,upper land) and in the north (Unterland, lower land). The country has a strong financial sector located in the capital, Vaduz, and has been identified as a tax haven. It is a member of the European Free Trade Association and part of the European Economic Area and the Schengen Area, but not of the European Union.. 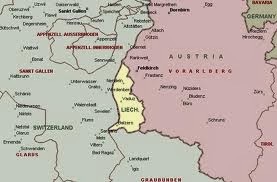 The literacy rate of Liechtenstein is 100%. The Programme for International Student Assessment, coordinated by the Organisation for Economic Co-operation and Development, currently ranks Liechtenstein's education as the 10th best in the world.